Based on a novel by Jo Nesbø, 2017’s The Snowman takes us to Norway. Years earlier, a serial killer known as “The Snowman” terrorized the area, but his crimes eventually subsided. This status appears to change when murders that fit the Snowman MO occur again. Troubled Detective Harry Hole (Michael Fassbender) works with new recruit Katrine Bratt (Rebecca Ferguson) to apprehend the killer and prevent additional deaths. 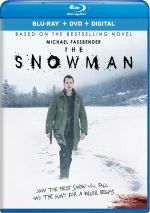 I like a good serial killer movie, and when I saw previews for Snowman, I hoped it’d fit the bill. Trailers certainly made it look ominous and intriguing, and Fassbender’s presence added to my optimism, as he brings a certain level of class to the proceedings. Then I remembered that Fassbender thought it wise to star in the limp Assassin’s Creed, a reminder that he doesn’t always pick the best projects. When I read the consistently bad reviews, I steered away from Snowman during its theatrical run – a surprise, as those trailers made me eager to go. Because I’m less choosy about what I watch at home, I decided to give Snowman a shot. With an provocative premise and a good cast, how bad could it be? Pretty bad, as it happens. Snowman takes a potentially compelling thriller and renders all events as dull as can be. Hoo boy, does this movie progress at a snail’s pace! While gradual, deliberate plotting can work, here it all feels aimless, as if the filmmakers don’t know where they want the story to go. As a result, we find ourselves stuck with a narrative that lacks flow or thrust. Events seem to happen nearly at random, with only vague connective tissue to keep them together. If the film ever generated the slightest amount of drama, I might not mind the clumsy storytelling. However, Snowman squanders all chances at tension or thrills, as it brings us a sluggish experience free from compelling material. As noted, Snowman does come with a fine cast. In addition to Fassbender and Ferguson, we find JK Simmons, Charlotte Gainsbourg, Toby Jones, Val Kilmer and others – though poor Kilmer doesn’t sound the way you would expect. Due to medical complications, the filmmakers dub Kilmer’s voice – and do so badly, a factor that becomes a major distraction. Despite that poor looping, the actors bring some dignity to Snowman. None of them can redeem the material, but at least they don’t embarrass themselves. The greatest acting in the world can’t fix this mess, though. 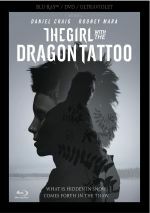 Snowman presents a thriller completely free from thrills – and basic competence as well. Muddled and meandering, this becomes a boring experience. The Snowman appears in an aspect ratio of approximately 1.85:1 on this Blu-ray Disc. Expect no problems during this strong transfer. Sharpness always worked well. Even wide shots provided nice clarity, so the whole package offered a good sense of clarity and definition. I noticed no issues with jagged edges or shimmering, and edge enhancement failed to appear. Source flaws also remained absent in this clean presentation. Given the frigid Norwegian setting, I expected Snowman to provide a limited palette. I expected correctly, as the movie stayed with cold tones most of the time, most of which veered to the teal side of white. Within these choices, the hues seemed well-rendered. Blacks were positive, as they demonstrated nice depth and density, and shadows followed suit. These showed nice smoothness and delineation. Overall, I found this to be a solid presentation. In addition, the DTS-HD MA 7.1 soundtrack of Snowman worked well, and the soundfield kicked into gear mostly due to weather sequences. Those used the spectrum well, as snow and winds filled the environment in a compelling manner. All of these created a good sense of the frozen setting. Audio quality was fine, and speech seemed concise and distinctive. Music was full and rich, while effects demonstrated good accuracy. Those elements were always clear and dynamic. Though not the most dazzling soundtrack, I thought the mix filled out the film in a positive way. Five featurettes appear here, and we start with Cast of Characters. It runs seven minutes, 46 seconds and includes notes from producers Robyn Slovo and Piodor Gustafsson, director Tomas Alfredson, and actors Michael Fassbender, Michael Yates, Rebecca Ferguson, Sofia Helin, Jonas Karlsson, and JK Simmons. As expected, the show covers cast, characters and performances. It tends to offer fluffy praise and little else. With Creating Jo Nesbø’s World, we get a four-minute, five-second piece with Fassbender, Simmons, Slovo, Ferguson, and author Jo Nesbø. We get a few notes about the book series in this short but moderately informative reel. The Snowman Killer lasts four minutes, three seconds and features Karlsson, Fassbender, Gustafsson, Alfredson, Slovo, and costume designer Julian Day. This piece discusses aspects of the movie’s villain. It brings us a smattering of useful material among more puffery. Next comes the six-minute, 33-second Norwegian Landscape. It provides notes from Slovo, Fassbender, Alfredson, Gustafsson, Ferguson, Karlsson, 2nd unit director Saul Metzstein, supervising location manager Camilla Stephenson and plant manager Pal Thorud. As the title implies, “Landscape” looks at the movie’s locations. It becomes a decent overview. Finally, Stunt Files takes up one minute, 36 seconds with remarks from Slovo, Alfredson, Gustafsson, and Metzstein. “Files” views elements connected to shooting on a frozen lake. It’s way too short to add much. The disc opens with ads for All I See Is You, Death Race: Beyond Anarchy, Happy Death Day and The Foreigner. No trailer for Snowman appears here. A second disc provides a DVD copy of Snowman. It includes the same extras as the Blu-ray. With an intriguing premise and a strong cast, The Snowman comes with much potential. Unfortunately, it tells its tale in such a slow, plodding manner that it becomes a chore to watch. The Blu-ray offers excellent picture and good audio with a minor selection of bonus features. Even diehard genre fans should skip this dull effort.